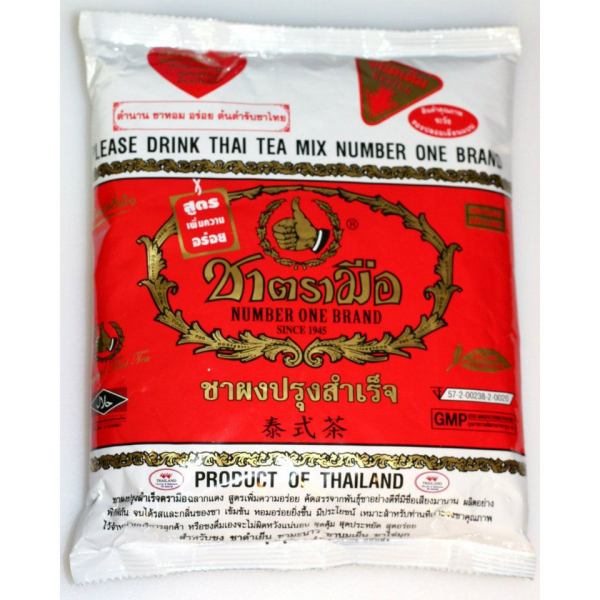 Cha Tra Meu is a popular brand of Tea mix sold in Thailand. It is used to make our flavorful and very sweet Thai Iced Tea, which has a surprising orange color and delicious sweet flavor. The tea mix is a blend of black tea leaves, spices, flavorings, and color.